The open office of Attorney General that resulted when Marc Dann stepped aside under cloud of scandal, will be filled by a mid-term election this November. The two major parties have chosen candidates to run for the two remaining years of Dann’s term, and an independent candidate has also qualified for the ballot. The Republicans have selected veteran prosecutor Michael Crites. Crites is currently the managing partner at a Columbus-area law firm and served 21 years as a local, state, and federal prosecutor. In 1990, Crites was the prosecuting attorney for the Pete Rose tax evasion case. Of the case, Crites states "wasn't a task that I enjoyed, but nonetheless I took my oath seriously and I did my duty." We wouldn't expect anything less from a United States Naval Academy and Ohio Northern University Law School graduate. The Democratic candidate is Ohio State Treasurer and AICUO Art Award judge Rich Cordray has been selected to run for the Attorney General post. 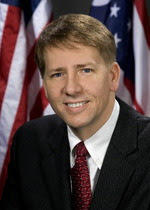 Prior to being elected as State Treasurer in 2006, Cordray had served as the Franklin County Treasurer since 2002. He also served one term as a member of the Ohio House of Representatives from 1991-1993. 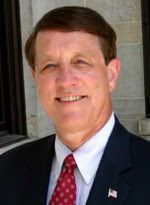 His connection to independent colleges comes through his wife, Peggy, a law professor at Capital University Law School. The independent candidate, and the first to file after the Dann resignation, is Robert Owens. Owens was a clerk for a federal judge in the U.S. District Court, then moved on to practice law at a large firm in Columbus. He relocated to Delaware County to serve as prosecutor in Sunbury. 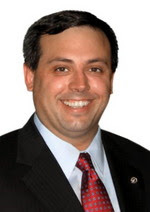 Owens is a limited-government advocate who reports he's endorsed by the Constitution, Reform and Libertarian political parties. Mr. Owens is well versed in independent college life in Ohio; he graduated with honors from Ohio Wesleyan University and obtained his Juris Doctorate from Capital Law School.